What the hell is this? It doesn’t look like Bali-style architecture to me. It looks like more of that hideous faux-tuscan crap – now with Buddha! And doves of peace! The horror is, these guys aren’t the first ones to come up with a Villa in the Pure Land (or perhaps, a villa that is the Pure Land). 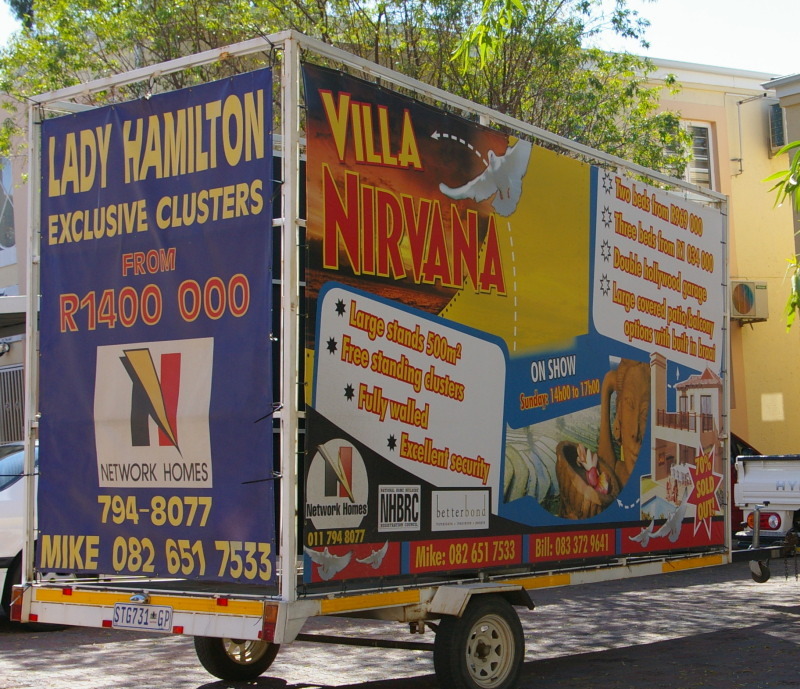 I actually found myself driving behind the Lady Hamilton / Villa Nirvana this morning. Needless to say the driver was zigzaging all over the place and the whole things is just disturbing. I can’t imagine this is terribly good for the developers’ karma. Dude. What’s up with the weird icons next to our names? The icons — I have no idea. It’s a new wordpress feature, because even if you don’t have a wordpress account, you must have an avatar!